ZISSIS hotel is located in Aristi, one of the 45 picturesque villages of Zagori and just next to the Vikos-Aoos National Park. The hotel was recently built in the traditional local style using stone for the walls and for the roof. It is a family-run hotel and offers a fully equipped restaurant where many local speciality dishes are created and served. 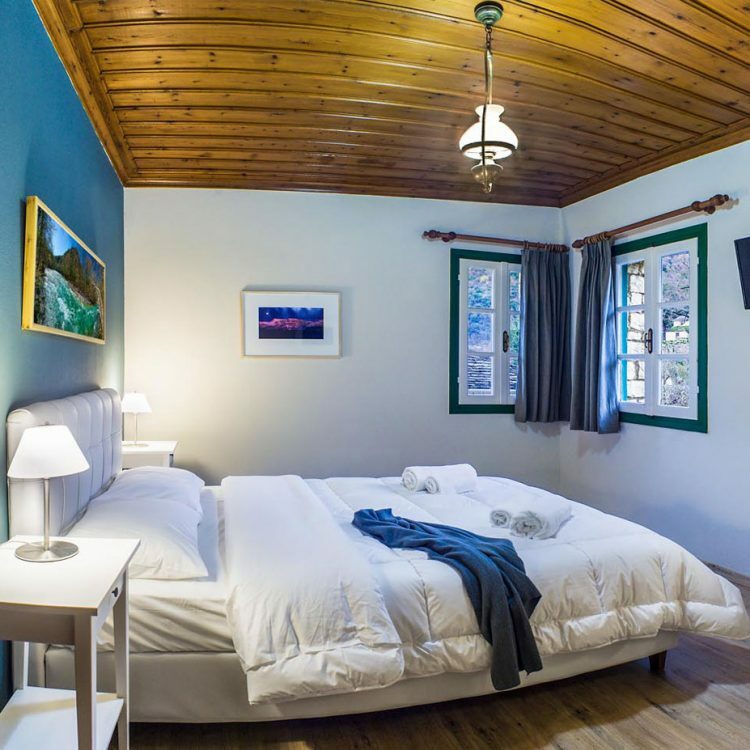 Zissis hotel is a very nice, traditional, family -run house to spend a weekend in. Really warm, clean, with renovated and spacious rooms. The food they cook is amazing. It is ideal for families, groups of friends for a relaxing time at the Zagori area. ZISSIS hotel is, thanks to its location in the village of Arísti, the ideal base to visit the many natural, cultural, religious and architectural monuments and sights of Zagori.